Another day, another Democrat presidential candidate entered the crowded race. Sen. Amy Klobuchar (D-MN) announced her presidential bid on Sunday, while Sen. Elizabeth Warren (D-MA) officially announced her candidacy in her home state of Massachusetts on Saturday. Klobuchar and Warren join author and self-help expert Marianne Williamson, U.S. Senator Kamala Harris (D-CA), U.S. Senator Kirsten Gilibrand (D-NY), and U.S. Representative Tulsi Gabbard (D-HI). As of today, these women have competition from U.S. Senator Cory Booker (D-NJ) and former Housing Secretary Julian Castro, the only men in the field. This field may grow to three dozen or more before it is complete. There will be a historic number of candidates because the Democrats truly hate President Donald Trump and believe he is very likely to lose re-election in 2020. Unfortunately for the Democrats, in light of recent developments, they are engaged in political wishful thinking. After a very successful State of the Union address Tuesday night, the latest Rasmussen daily tracking poll shows President Donald Trump with an impressive 50% approval rating. This shows a continual improvement over the last few days, undoubtedly impacted by a speech that was well received. The ratings for the president’s speech exceeded last year and were significantly higher than the ratings for President Obama’s speech at a similar point in his presidency. According to CNN and CBS polls, the speech received the approval of 76% of Americans. In fact, it was so persuasive that 72% of Americans, according to the CBS Poll agreed with the president’s comments on immigration, one of the most hotly contested issues in the country. The 82-minute address was delivered one week late due to the government shutdown and Speaker Nancy Pelosi’s insistence of a delay. The speech was worth the wait as some observers believe it was the best one ever given by President Trump. The members of Congress interrupted the president 102 times with standing ovations. His message of “Choosing Greatness” including a pitch for unity, a strong defense of a border wall, a call to protect innocent life and a total rejection of socialism. The president also outlined his reasons for bringing our military back from Afghanistan and Syria. As usual, a number of other issues including school choice, healthcare, and trade were mentioned by President Trump. While the president has been on a roll, Democrats are dealing with horrendous problems. In Virginia, their top three elected officials are embroiled in controversy. In fact, calls are growing for Lt. Governor Justin Fairfax to resign after a second woman has come forward to accuse him of sexual assault. If he does not resign, a Democrat legislator, State Representative Patrick Hope, will introduce articles of impeachment on Monday. Virginia Democrats are not the only ones embroiled in controversy. While she officially launched a presidential campaign, Warren is once again having to defend her inaccurate assertion of being of Native American heritage. 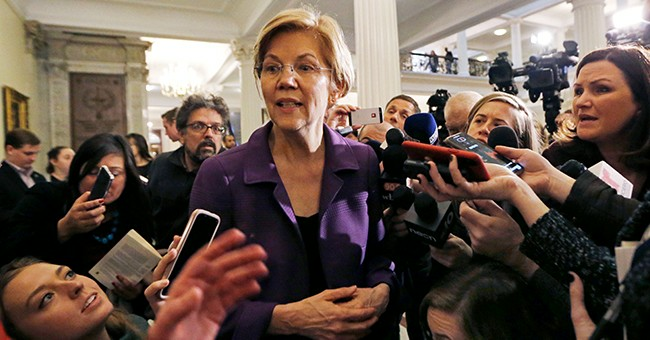 The Washington Post discovered that in her application to the Texas State Bar, she claimed to be an “American Indian.” After releasing DNA results that showed her Native American heritage that was possibly as low as 1/1024 percent, Warren has become the subject of justified ridicule. With Democrats reeling, party leaders are hoping they will receive a lifeline from the Special Counsel. Democrats are praying that the Mueller report will include a bombshell accusation against President Trump and show definitive proof of his collusion with Russia to steal the 2016 election. If not, many Americans will wonder what the Special Counsel and his team of Democrat attorneys have been doing for two years and why they were spending tens of millions of taxpayer dollars. Even if he is exonerated by Mueller, the president will be the subject of more investigations from the House Intelligence Committee, now led by U.S. Representative Adam Schiff (D-CA) and federal prosecutors from the Southern District of New York. The many areas being investigated include the president’s personal finances and the activities of his businesses and his foundation. Despite these biased inquiries and ongoing political conflicts with Democrats, President Trump is enjoying the same approval rating as former Presidents Barack Obama and Bill Clinton received during this exact time in their presidencies. The difference is that the national news media were very supportive of Obama and Clinton but have treated President Trump as their sworn enemy. According to the Media Research Center, President Trump received 92% negative coverage last year from the three major broadcast networks during their news programs. The stories reported on cable news outlets such as CNN and MSNBC have been even more negative about the president. It is amazing that in this environment, surrounded by enemies in his government and the media, the president has been able to succeed and score relatively decent approval ratings. The attacks will undoubtedly continue, but with the strong economy and problems in the Democratic Party, the chances of President Trump’s re-election in 2020 grow stronger every day.